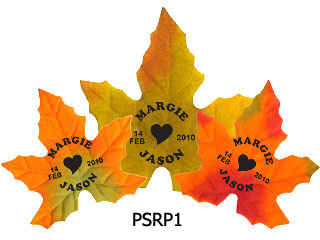 The Silk fall leaves can be personalized with same models like Silk rose petals. When you check out please write on SPECIAL INSTRUCTIONS YOUR NAMES, DATE OF EVENT, YEAR and MODEL NUMBER. There will be 2 sizes and 3 different colors for leaves.